Cycling in South Limburg is often associated with climbing many hills. But the most southern province of the Netherlands is also the ideal cycling region for recreational cyclists. It has much more to offer than just hills. Explore the vast plateaus and Maas river plain, the cosy villages and towns. Each region has its own special characteristics which means that every 30 kilometers or so you will be surprised, again and again. There are a lot of possible cycling routes. Some of them depart directly from our hotel, others depart close by. At the front desk there is a possibility to perchase a special map. We also have some routes forfree available. Are you bringing your own bike? 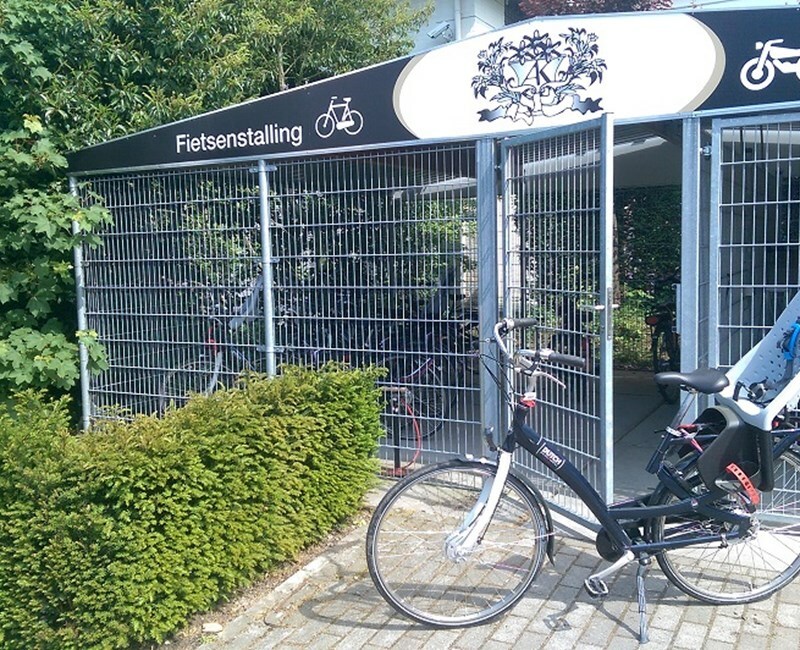 We provide indoor and closed bicycle storage. There is also an electric point to charge your e-bike.